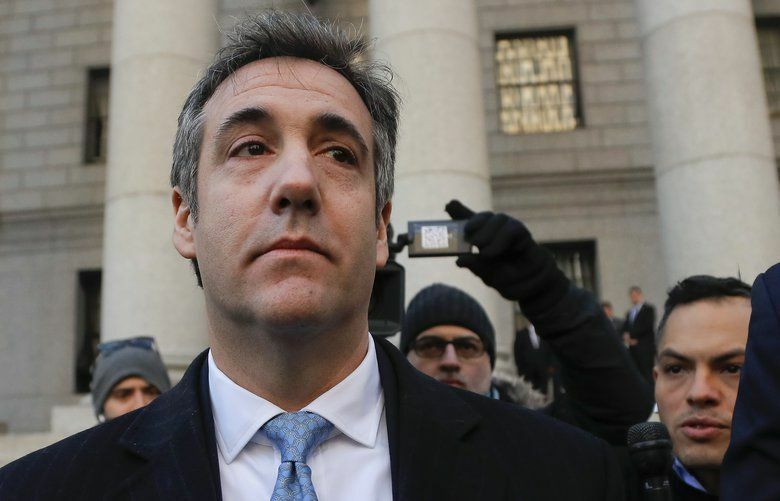 President Donald Trump’s former personal attorney Michael Cohen pleaded guilty Thursday in New York to lying to Congress about a Moscow real estate project that Trump and his company pursued at the same time he was securing the GOP nomination in 2016. In a nine-page filing, prosecutors laid out a litany of lies that Cohen admitted he told to congressional lawmakers about the Moscow project – an attempt, Cohen said, to minimize links between the proposed development and Trump as his presidential bid was gaining steam. Cohen made a surprise appearance Thursday morning before U.S. District Judge Andrew Carter Jr., who asked him to enter his plea. “Guilty, your honor,” Cohen replied. As part of the plea, Cohen said he had lied for the person listed in court documents as “Individual 1” – whom Cohen identified in court as Trump. Cohen’s guilty plea – his second in four months – is the latest development in a wide-ranging investigation by special counsel Robert Mueller III into Russian interference in the 2016 presidential election. Activity in that probe has intensified this week, as one planned guilty plea was derailed and, separately, prosecutors accused Trump’s former campaign chairman Paul Manafort of lying to them since he pleaded guilty. The Cohen plea is likely to further chill relations between the White House and the Justice Department, where acting attorney general Matthew Whitaker has been serving for several weeks since the president forced Jeff Sessions out of the post of attorney general. Trump’s lawyer Rudy Giuliani suggested that Mueller’s timing was politically motivated. Rep. Adam Schiff, Calif., the House Intelligence Committee’s senior Democrat, said the guilty plea shows the president was not truthful about his business interests in Russia during the campaign. Cohen previously said the project stalled in January 2016, prompting him to email a top aide to Russian President Vladimir Putin seeking help. Cohen had previously claimed that he never received a response and that the project was halted that month. Prosecutors seemed to make a point in the document of emphasizing that Cohen had talked with Trump – whom they did not name – about the project. The document said Cohen lied because he hoped his testimony would limit the ongoing Russia investigations. In June 2016, Sater invited Cohen to attend an economic conference in St. Petersburg, assuring Cohen that he could be introduced to Russian Prime Minister Dmitry Medvedev, top financial leaders and perhaps Putin, The Post reported.Sater has been cooperating with the special counsel investigation for more than a year, providing emails and other documents, people familiar with probe have said. Then, about a month later, he met “Individual 2” – whom people familiar with the case said was Sater – in the lobby of Trump corporate headquarters to tell Sater he would not be traveling to Russia after all, according to the court document. The day of that meeting – June 14, 2016 – is the same day The Washington Post reported that Russian government hackers had stolen data from the Democratic National Committee. The Washington Post’s John Wagner and Tom Hamburger in Washington, and Anton Troianovski in Moscow contributed to this report.